Landlord Tenant Security Deposit Disputes to Settle, or Sue? Home · Property Management · Latest News : Security Deposit Disputes: Settle, or Sue? Security Deposit Disputes: Settle, or Sue? When processing security deposit dispositions you must keep in mind what the law allows the deposit to be used for. Damages and unpaid rent are all you may use the funds for. Damages are the gray area when handling deposit refunds. Some items are obvious such as holes in walls, broken doors and trash hauls. Other items are not as easy such as wear and tear to counters and cabinets. To make things worse, many liberal judges are incredibly tenant friendly allowing the tenants to recover much of their deposit money for items that historically are tenant costs: carpet cleaning after a long tenancy and broken blinds and or screens. The best advice I can give is to document the condition of the property as well as possible before and immediately after the tenant moves in and out. Have the tenant sign an amend sheet to be turned in within a few days or a week of their move in. This amend sheet allows them to amend the landlord or manager’s move in inspection notes. If there are charges made to the deposit make sure to keep invoices documenting the work done. 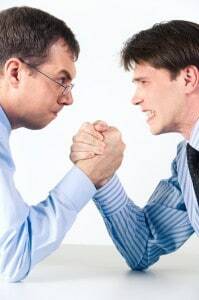 If and when the previous tenant disputes the charges make sure they put their dispute in writing. Use writing for all correspondence–if a phone call was made document the spoken information in a follow up letter or email. Small claims court is time consuming and frustrating. Around here, court dates are set for either 8:30 am or 1:30 pm–those calendars do not start on time and your case will not be heard for several hours past that time. If you are adamant your charges are valid it will make the time you spend in court more tolerable. If you are on the fence about some charges–I strongly encourage you find some common ground and settle. Most property management companies do not include small claims court as part of management. Owners are sued by tenants based on charges made by the owner. Attending and testifying is often billed out on an hourly basis. This may also factor in a decision to settle with the tenant if the charges are not as clear cut. If you must go to court make sure you are well prepared and opt to bring vendors to testify on your behalf to strengthen your case when larger jobs are needed. James Safonov, is a property manager with HomePointe in Sacramento, California, jsafonov@homepointe.com. HomePointe provides full service property management, leasing, accounting, and maintenance. See another tip from James Safonov, Landlord Quick Tip.